This is a nice original example of the largest motor Mercury built for the Western Auto Stores chain. I purchased this motor in 1979 from a collector in Maryland. It came with a packet that included the original owners manual, price tag, bill of sale, and advertising literature. It was bought new by a friend of the MD collector. I did the necessary maintenance and first ran it in 1995 and have used it occasionally at antique meets since. 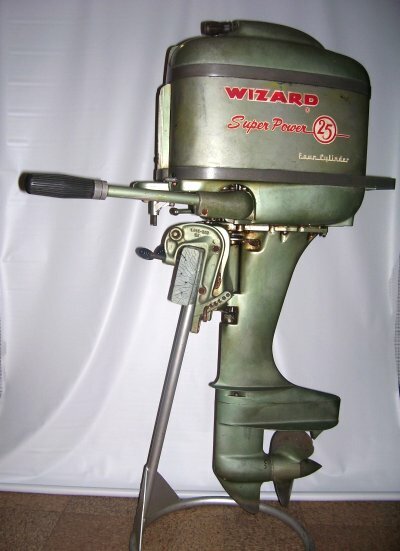 I was fortunate to have this motor featured in the book Beautiful Outboards by Peter Hunn.